last week, as i was cleaning my new office space in my home, i came across a box. as i opened the lid and peeked inside, i saw it was filled with old pictures. instantly my heart soared. as i've said before, i am enamored with old photos. so much so that it sparked this insatiable craving to take pictures of people. to me, pictures are priceless treasures. i found a box full of moments, perfectly captured, allowing me to travel back in time. i settled down on the floor, sitting indian style and pulling the box over in front of me. as i started rifling through the photos, i realized what i was actually looking at. a smile graced my lips. 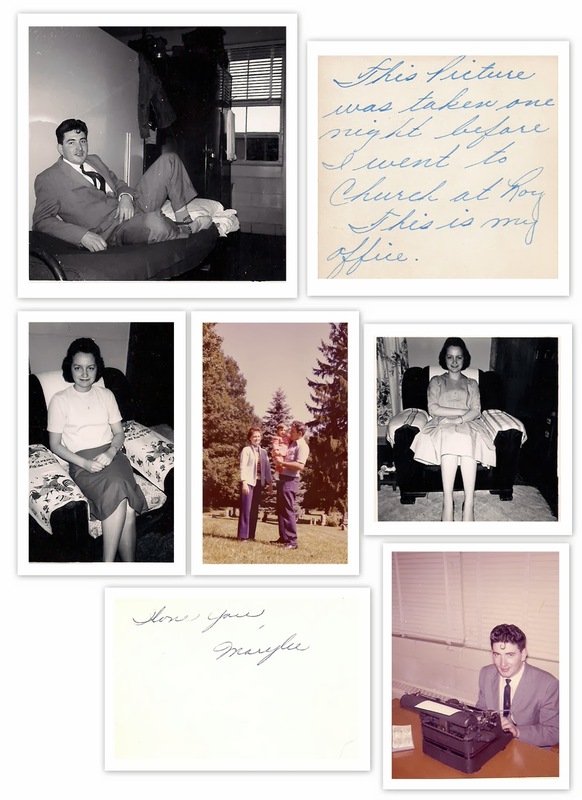 i was looking at love letters, in pictures, my parents had sent back and forth while they were dating. my dad was in the military and stationed across the country. so their only way of communication was through letters and pictures. at first, i felt like i had barged into a secret diary. but i just couldn't stop looking, reading and smiling. this is where the legacy of love began. the legacy that was passed to me and now on to my children. and now the tears begin. these pictures, so innocent and hopeful, with no idea of the future. thinking about all of the highs, lows, and wonderful things they've experienced together over the years brought me to tears. they had no sense of the struggles they would eventually face. they had no idea they would someday have to hold each other through cancer, the death of loved ones and lost jobs. that one day they would travel to another state and adopt the sweetest baby girl ever. they had one thing...love. through that love, and devotion to each other, they sat such an amazing example of marriage and parenting for me. every day, they wrote more of their legacy together. a legacy that will be remembered in lives long past their days on this earth. when we say words like legacy or inheritance, money or heirlooms usually come to mind. but the legacy i'm speaking of is different. it's a legacy of priceless and intangible things. they've built a legacy of loving God, loving others before yourself and having a selfless heart. i was given directly by God a family with two parents who are still married. i was given a family where both sets of grandparents were married until their dying day. at times, i wonder how i got so lucky...to be hand-picked by God and places into this amazing family. like a whisper in the wind i’m reminded that luck had nothing to do with it. this is part of my story, the one He wrote long before i was born. they are incredible parents, living out a legacy of love passed down from both of their parents! they have never tried to be perfect, but they have tried to love me and others well and show us the best example of Christ that they could. they know how to fight when the enemy brings the battle close to home and they know how to praise when another battle is won. they are my legacy of love.